Britain's tax authority H.M. Revenue & Customs (HMRC) is on track to be questioned about why it entered into a deal which has saved the owners of Formula One hundreds of millions of Pounds according to a report on ITV by Christian Sylt. The interest in F1's finances is being driven by British politician Meg Hillier, chair of the powerful Public Accounts Committee which stretches across political boundaries as it is a Parliamentary committee with a cross-party membership. The Public Accounts Committee recently raced into the spotlight in sport when it investigated footballers avoiding tax on income from image rights. In May Hillier will quiz HMRC on its deal with F1 which allows it to reduce its profits, and thereby its tax bill, by charging interest on money it lends to itself. F1 has had an incredibly lucrative relationship with HMRC but this attention could put it under pressure as the tax man will have to answer for its actions. Remarkably, the catalyst for the scrutiny was F1 itself. To be precise, it was fuelled by boasts from none other than Liberty Media, the American investment firm which bought F1 in January from the private equity firm CVC. If ever there was a case of shooting oneself in the foot then this could be it. Liberty has only held the keys to F1 for a few months but its boss Greg Maffei has already made a name for himself thanks to some staggering gaffes. Each one bettering its predecessor. Long-time F1 followers may say that this sounds familiar. After all, Bernie Ecclestone, the sport's supremo who was unexpectedly dropped by Liberty, was famous for his strong views on everything from women to Adolf Hitler. Liberty claimed to be a fresh start for F1 but its controversial comments are nothing new. The big difference is that the subjects now aren't social or ethical themes but F1's customers. If there is one thing that Ecclestone is famous for more than anything else it is making money. Lots of it. When he took over as F1's boss nearly 40 years ago bales of hay protected spectators from the cars at some tracks and races could be cancelled at the last minute if there weren't enough teams present. Ecclestone almost single-handedly turned F1 into the world's most-watched annual sports series with 390m television viewers last year and annual revenues of $1.7bn. F1 is now screened by 110 broadcasters worldwide and race promoters pay an average of $31.5m annually for the right to host a Grand Prix. Ecclestone didn't achieve that by insulting the companies paying the bills but after just a few weeks in the driving seat that is exactly what Maffei has done. First he said that the estimated $3m fee paid by NBC to broadcast F1 in the United States is "a popcorn fart. It's nothing." Days later he changed gear and criticised F1's efforts at securing sponsorship. "We don't have a sports drink sponsorship. You have to work hard not to have a Coca Cola or a Pepsi show up to support you. So that's an easy one," he said. Maybe, just maybe, those two global giants might be put off by the fact that F1 is already dominated by a drinks brand in the form of Red Bull. And although Red Bull isn't one of F1's Global Partners, it does own two teams and one race venue so it's not like it doesn't pull its weight. However, the best was yet to come. The Azerbaijan Grand Prix was next to get it in the neck when Maffei said it "does nothing to build the long-term brand and health of the business. Our job is to find partners that pay us well but also help us to build the product." Maffei didn't reserve this invective for conversations behind closed-doors but instead delivered it in a taped interview in front of a packed room of business analysts and investors at a conference in Florida. Unsurprisingly, it didn't go down well in Azerbaijan. "We've been working on this project for three years now so we have more experience with F1 than them. I think saying something like this is ignorant," said the race promoter Arif Rahimov, adding that Maffei's "attitude is harmful to the legacy of Formula One. Meanwhile, we can review the contract with Liberty Media." Given that the Azerbaijan Grand Prix is contracted to pay F1 a total of $393.6m in fees over the ten-year duration of its contract Maffei's comments seem rash to say the least. Losing money may be just the start of what could lie in store for F1 as a result of his outbursts. It could soon attract the ire of the tax man. Britain's tax man has been one of the sport's most useful allies. In November last year ITV's News at Ten revealed that, according to F1's latest accounts, in 2015 it paid just $6.5m of tax on profits of $463.6m. It gives the sport a tax rate of around 2% despite being based in Britain where the standard rate is actually ten times higher. ITV revealed that F1 has a clever, and perfectly legal, trick under its bonnet to pull this off. Although the majority of F1's revenue and profit is made by businesses based at its headquarters in London, they are owned by companies which are offshore. The offshore companies give loans to their British subsidiaries which have to pay back the money with interest. It pushes the British businesses into a loss and means they don't have to pay tax as this is only due if a company makes a profit. The British businesses are only pushed into a loss on paper as the interest they have to pay is received by their parent companies. Money is essentially moved from one hand to the other and F1's profits are swapped for interest payments in the process. As the interest is received offshore it can be paid to F1's owners there without any tax deducted. It is part of a perfectly legitimate practice known as transfer pricing and the deals are known as Advance Thin Capitalisation Agreements. They come with the blessing of HMRC as it has to approve the amount of interest which is tax-deductible. The scheme was introduced to F1 by CVC in 2006 and it didn't mention it once over the decade that it owned the sport. Liberty didn't set up the scheme but before it even took the wheel of F1 it had already boasted about it. Not just once or twice but five times to analysts, investors and the media. 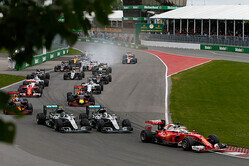 In a call with analysts on 8 November Maffei stressed that F1 has "an attractive low tax rate structure." Two days later, at Liberty's 2016 Investor Day Presentation, he hammered the point home saying that F1 has "a very tax-efficient structure." This time he wasn't a lone voice. "It's a great structure. It's a great tax arrangement," said Liberty's chairman John Malone. It didn't stop there. Astonishingly, Malone even gushed about the tax scheme in a television interview with CNBC when he recalled that on being informed about the F1 acquisition he exclaimed " Eureka! And even the tax structure is brilliant." The praise kicked off in September on the same day that Liberty announced the takeover. 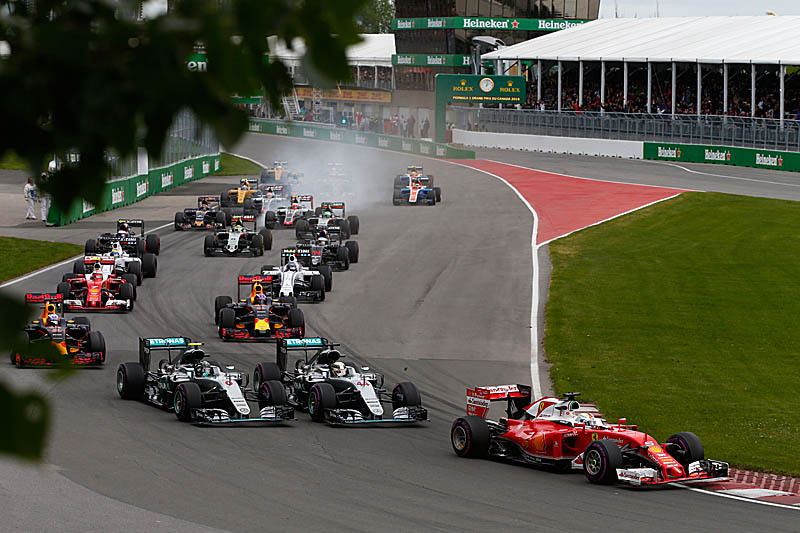 Its chief corporate development officer Albert Rosenthaler told analysts that "from a tax standpoint, F1 has done a wonderful job in terms of creating a structure that is extremely tax efficient. We will be stepping into that structure." It is hard to say whether it is more shocking that F1 has paid so little tax or that three of Liberty's most senior executives have publicly heaped praise on this. Some might say that boasting about pocketing hundreds of millions of Pounds which would otherwise go to the tax man is a major misjudgement of the mood in the current climate of economic belt-tightening. Doing this five times to investors, analysts and the media makes it seem all the more remarkable. It has already had repercussions. Chris Sylt reported on F1's tax structure in 2012 and 2013 but Maffei's boasts last year reminded him of it and triggered the investigation on News at Ten in November. That was just the start. Last month the European Parliament voted in favour of "an immediate investigation into competition concerns arising from the Formula 1 industry." It was tabled by Anneliese Dodds, MEP for South East England, who said that it was driven by "serious concerns being raised about an agreement with HM Revenue and Customs that allowed the sport to pay an effective 2% tax rate." Dodds has been investigating alleged anti-competition in F1 since 2014 when Manor and Caterham, which were based in her constituency, crashed into administration. In a letter sent to Margrethe Vestager, the European Commission's Competition Commissioner, on 30 January Dodds said she was alerted to F1's tax agreement by the ITV News investigation. Last month Vestager replied to say that it hadn't fallen on deaf ears. "If the Commission has sufficient doubts that a tax ruling gives a selective advantage, and hence could constitute state aid, the Commission can investigate tax rulings ex officio. In this context, my services are looking at the information provided," she said in her reply to Dodds. It is some sword of Damocles hanging over F1's head given that the EC fined Apple a record €13bn last year for its tax deal with the Irish government. Apple channelled all of its sales in Europe through a company in Ireland where the government allowed it to allocate the vast majority of its profits to a head office which the EC claims existed "only on paper". As a result, its tax rate hovered between 0.005% and 1% and the EC alleges this was a benefit to Apple in particular which breaks EU state aid rules. There is no guarantee that the EC will investigate F1, or that it would find anything wrong with its tax deal if it did. Brexit raises further questions of whether the EC would even have jurisdiction for a retrospective claim. It is hard to see what is to be gained from putting this to the test but that is the situation Liberty finds itself in as a result of its boasts. There's a lot at stake. Alex Cobham, chief executive of the Tax Justice Network, told ITV that "this case confirms absolutely the need for public scrutiny of advance thin capitalisation agreements - secret deals which give select companies tax relief on intra-group lending, in this case saving F1 at least $500m." He added that "as of 2014, we know there were 500 agreements in force - in all probability costing tens of billions of pounds. There may well be many more today, but the government appears to have stopped providing even this minimal transparency. The UK public will want to know how many of these deals are in place, and how much it is costing the Treasury overall - at a time of extreme cuts to public services. We would urge the Public Accounts Committee to launch an investigation in order to scrutinise these opaque deals." Hillier confirmed on Thursday that she will be raising the matter with HMRC in May but the questioning has already begun. ITV revealed that Labour MP Margaret Hodge has tabled Parliamentary Questions to the Chancellor of the Exchequer about this matter and they will be dealt with in April. The EC would not comment on whether it may come after F1 next but Cobham has urged it not to delay. "Without greater transparency of these agreements, or the basis on which certain deals are made with certain companies, it is not unreasonable to imagine that the government's actions here may amount to illegal state aid. As Commissioner Vestager examines the documents relating to F1, we would encourage her team to be mindful of the much wider use of these agreements, and to consider seeking additional information from the UK government." Dodds concurs and says she has asked "the European Commission to investigate the F1 tax deal and see if it breaches state aid rules. We have already seen Apple fined a record €13bn that must be repaid to the Irish budget and if this agreement also breaches state aid rules, the money must be paid to the Treasury." Despite these high stakes, it is surely only a matter of time before Maffei lets rip again. However, it may take a little longer than expected. He will presumably be attending Liberty's annual meeting in Atlanta on 24 May but a recent press release from the company confirmed that, unlike last year, "the annual meeting will not be webcast." That's one way to keep a lid on him.